It was a perfect Friday to get out of the office and into the gardens! 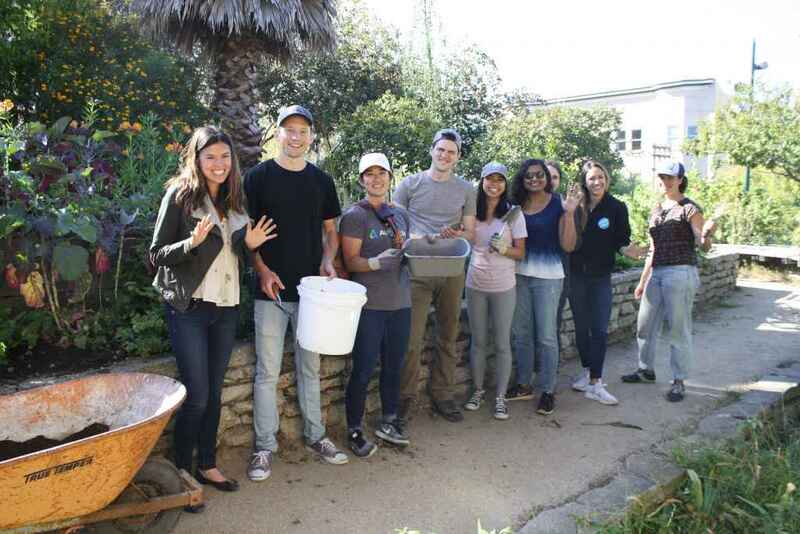 Autodesk joined CommunityGrows last week for a workday at Koshland to get the garden in shape for the upcoming semester. After a round of introductions, the team participated in a game led by Gardens Program Manager Anna. One of her favorite lessons to do with the kids, Anna asked everyone to close their eyes and smell two mystery herbs as they were passed around the circle. Once everyone had smelled the herbs, they went into the garden to try to find the plants. 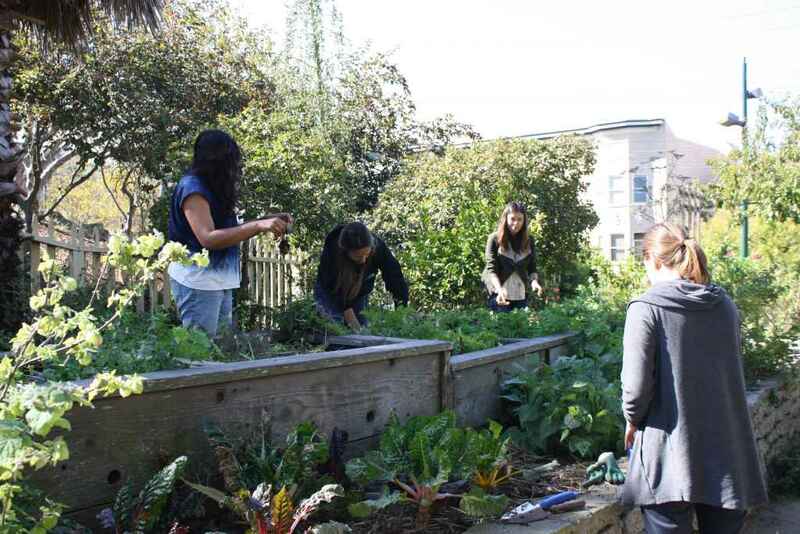 The lesson not only gives students a tour of the garden space, but also sharpens their observational skills. The team was able to identify and find both the thyme and lavender! CommunityGrows is in the early stages of a project to create in-ground beds in this underused corner of the garden. Autodesk helped us with that process by collecting soil samples, a task which would have taken a single staff member 1-2 hours to complete on their own! We greatly appreciate your help! At Koshland, there are three marked bins to help students understand the process of composting. One bin is ready to use compost, one is breaking down, and one is “fresh” material. In order for compost to break down, it has to be turned, which Autodesk did for CG on Friday! 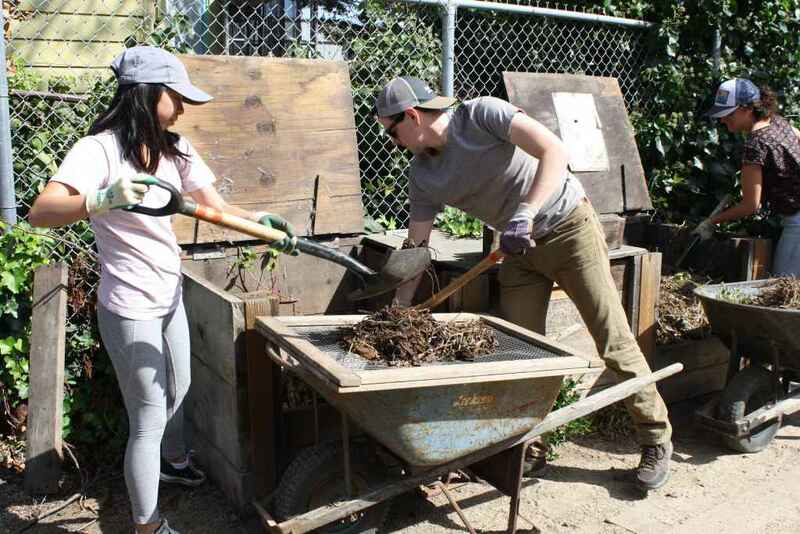 The fresh compost was then spread into the garden plots, setting the stage for the students to plant! Fall is a time for harvesting, and the plants from the summer were bolting and ready to be pulled. This team help weed over half of the garden plots, clearing these beds for the students, who will be planting as part of the garden class. This has been on the to-do list for quite some time. Having multiple volunteers working together made the job go quickly and the garden looks beautiful! 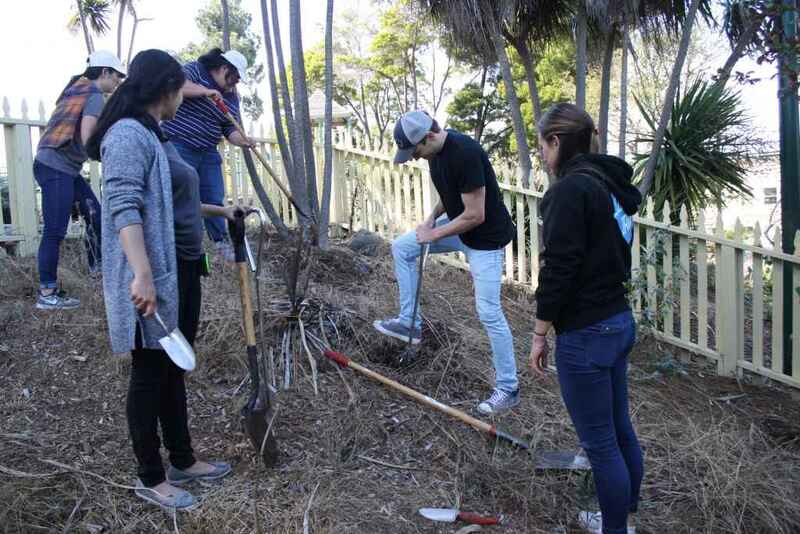 On behalf of CommunityGrows, we want to thank all the volunteers for their hard work in the garden! 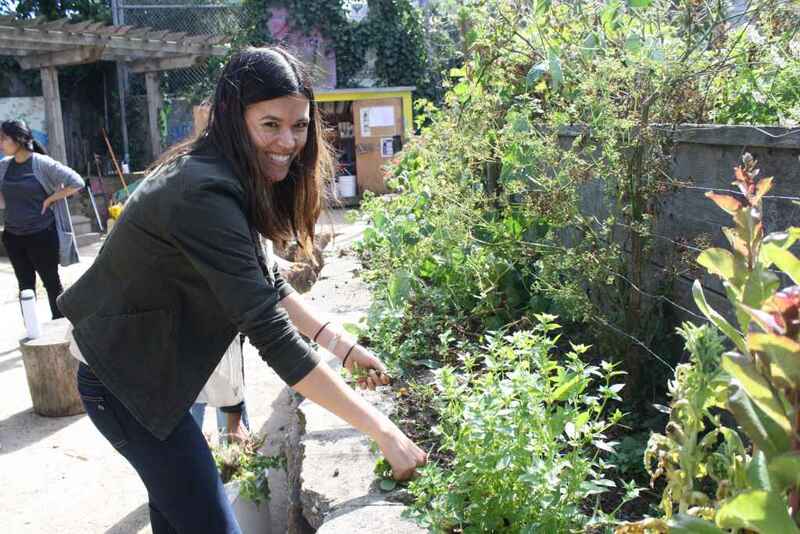 Your work made a huge impact on the garden and set our students and staff up for a great semester! 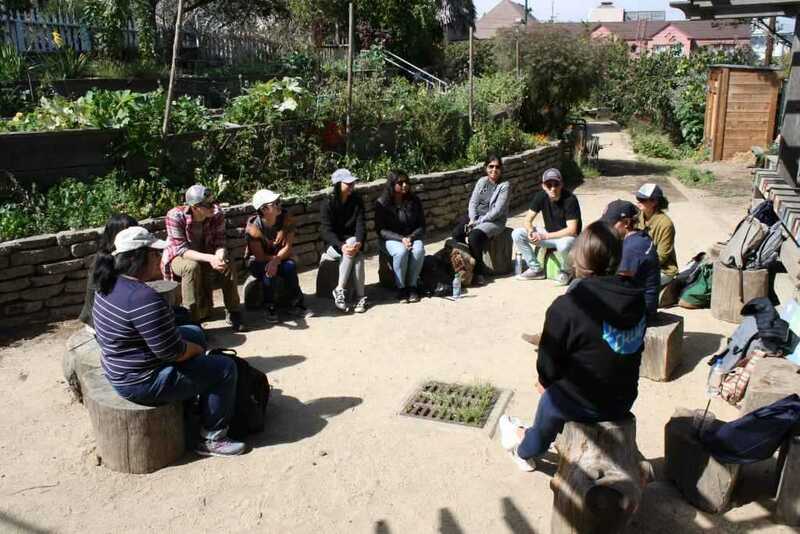 It was a great way to end the week, especially when students from John Muir Elementary school came to explore the garden towards the end of the workday! Thank you Autodesk, we appreciate your support!